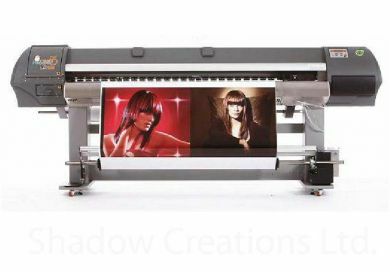 At Shadow Creations we are able to offer a complete print service. We are unique in that we are able to offer a design to build to completion of all of your construction needs which include all your print requirements. This ensures that there can be no fitting problems due to miscommunication between various suppliers. If you do not see a product you are interested in above please call to discuss your needs. All cast laminates extensive range of colours. (Suitable for achieving solid coloured panels to coloured stage surfaces). 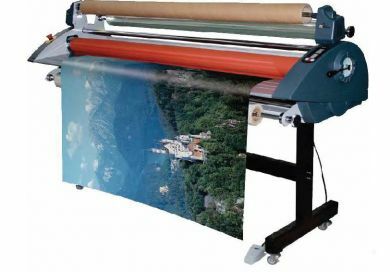 Matt, Gloss, Satin clear laminates (suitable for artwork or signage). 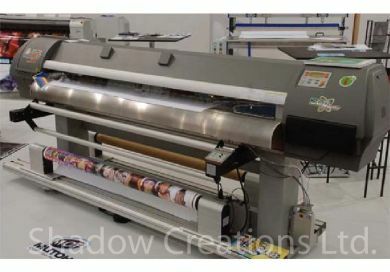 There are a vast array of cast coloured vinyls which we can cut on our in house plotter. There range from promo series (suitable for 1 year applications) to 7 year vinyls. 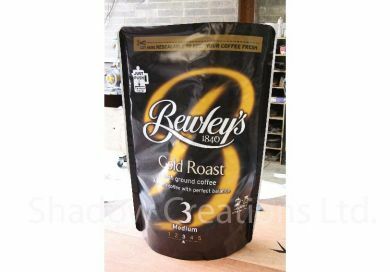 These vinyls are suitable for various applications ranging from Vehicle graphics to signage to promotional branding. unique to this type of machinery. 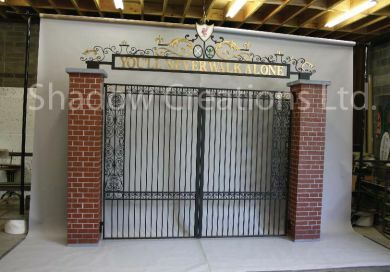 Shadow Creations can create ANY file of any shape no matter how complex which can be cut in an extensive range of materials. 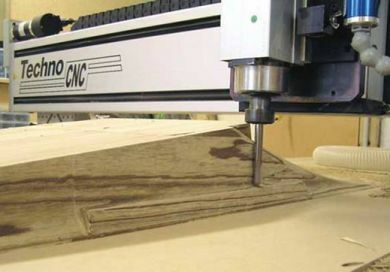 With the incorporation of Enroute Software we can bring a new level to CNC. Enroute also allows us to create 3D elements to projects. From 3D letters to 3D textures the possibilities are endless. If your material is not listed above it does not mean it can not be machined or cut. Please call to discuss your specific requirements. When sending PDF's the following export settings are usually quite successful. JPEG / TIFF ect should be supplied @ 25% of final artwork size @ 300dpi. 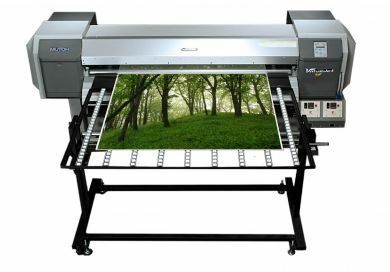 ie if your final print is 1000mm x 1000mm your file should be a minimum of 250mm x 250mm @ 300DPI. This does not apply to vectorised artwork such as ai / eps as this is scalable to any size. If you are emailing artwork you can email files that are 15MB or less. If you intend to send several of these they should be saved to a key or disk. Online file sharing such as "you send it" or "drop box" are also fine. 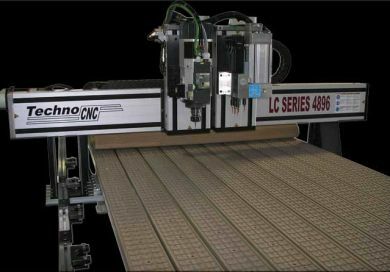 PC / Mac: As we run often run elements of cnc / laser cutting and print on your artwork we are PC based for this machinery. If you are sending fonts please make sure they are PC format. All other elements will transfer between PC and Mac without any problem. INDD: Please do not send in design format files. These should be re-saved as an ai / eps/ pdf. CMYK: All artwork should be converted to CMYK. Please do not send spot colours or pantone colours as they can print with unexpected results. EPS and AI files are great for us especially if you need alterations to your artwork. If you need us to alter fonts you will need to include the font type. This should be attached to the file and sent in a pc format. If you do not need any edit on your artwork you can embed / outline or expand these fonts. This will eliminate the font in your file and will send us the text as "lines"
Why Vectors: Both the CNC and Laser cutter cut by following "lines". Vector artwork such as illustrator ai / eps contain artwork that is based on lines and not dots or pixels. For CNC purposes we need artwork in a vector formatt. This can be created here if needs be. We can "grab" these lines from AutoCAD based files (dwg / dxf) and illustrator files (ai / eps) PDF's can also contain vectors.